CARP supports students who are not only dedicated to growing as individuals but also have a desire to have an impact in their communities. After all, CARP’s five leadership principles are all about that! Justin Okamoto is a CARP chapter rep in the Westchester, NY area. Recently, he planned and hosted a benefit concert to support My Sister’s Place, an organization dedicated to raising awareness about domestic violence and human trafficking. 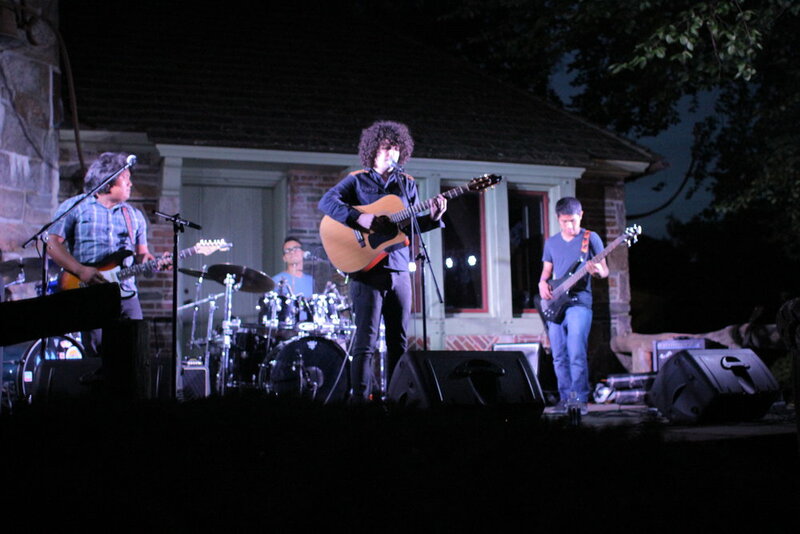 The concert took place on June 20th in Tarrytown, NY at the Belvedere Estate. Over 100 people spanning from the local area, and various locations in New York and New Jersey attended, mostly between the ages of 16-23. Three bands performed at the concert, including Sail the Boat from NJ/NYC, Quarter Royce from a local high school, and a cover band from SUNY Purchase. There were also several soloist performers. My Sister’s Place spoke about the current situation on human trafficking. Although he dealt with fears related to the anticipation of the event’s success, Justin states “I was able to really go past the limits that I had created for myself and see a new side of me. I felt like the leader in me emerged. Leading volunteer teams, sending out invites, or rocking out on the stage, everyone really stepped up to make this concert happen and I was just really satisfied with the result. I’m really grateful to have so much support from this community.” My Sister’s Place also stated that that they were thankful for the respectful crowd, saying that it was one of the best events that they had ever attended. Lesson? If you have the desire to do something that will impact your community, go for it! It will take time, effort, and patience. Yet, you may surprise yourself by finding new talents and ability, as well as developing your leadership skills. Newer PostIt’s almost that time of the year….